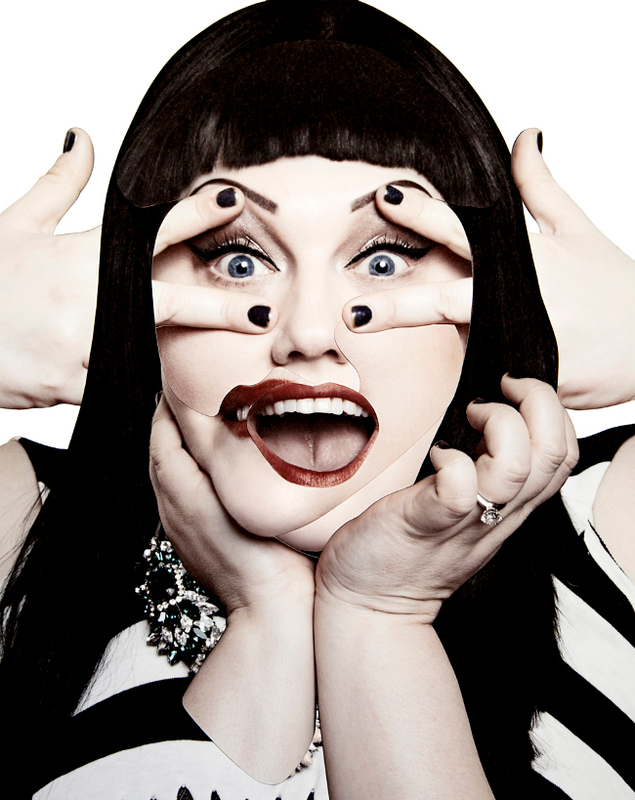 Beth Ditto Please Will You Be My Friend? 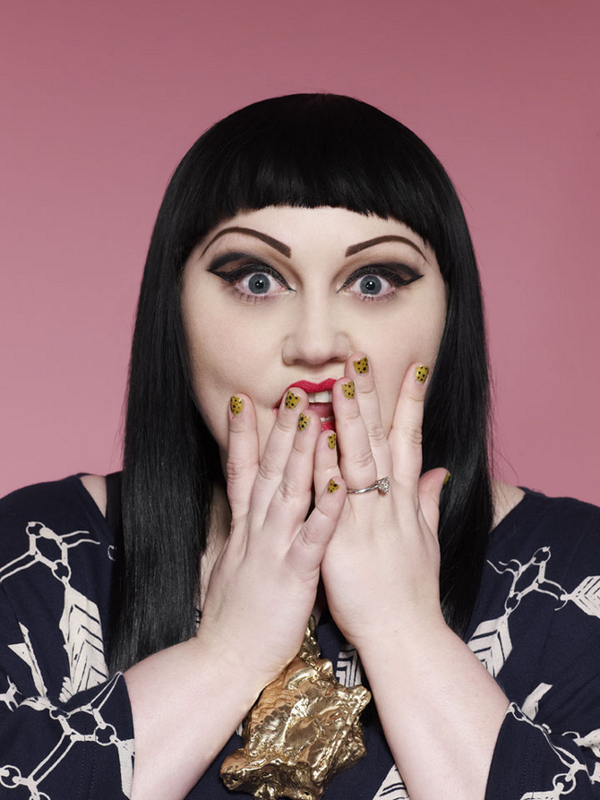 I’ve always thought that Beth Ditto, the fiercely confident and outspoken punk-feminist lead singer of Gossip, in all of her the lady-loving, prank-pulling, squirrel-eating, unabashed stage-stripping, mad-as-a-box-of-frogs fabulousness is someone I would very much like to go out and get cer-ray-zy-drunk with. You just know that she’d be a scream. And by God would you have a blast! She’d be a game gal. One to go to the pub with, drink pints with, do shots with and then leap up onto the pool table with and belt out the karaoke at top volume. Although her voice would be just only marginally better than mine. Ahem. I heart Beth. I really do think she’s all sorts of brilliant and after having recently finished her autobiography, “Coal to Diamonds : A Memoir”, I felt compelled to write this post as I now think she’s even more fantastic than I did before. It’s an ode to Beth if you will, and an unashamed request for her to be my friend. Reading “Coal to Diamonds” you feel like Beth is perched on a chair next to you, delivering line-after-chatty-line in her gorgeous high-volume Southern-soaked Arkansas accent. Her ballsy and deeply frank commentary of life growing up in Judsonia, as one of 7 kids living a “crazy poor” trailer-park existence, makes for a heartfelt and compassionate read. You can’t help but warm to her. 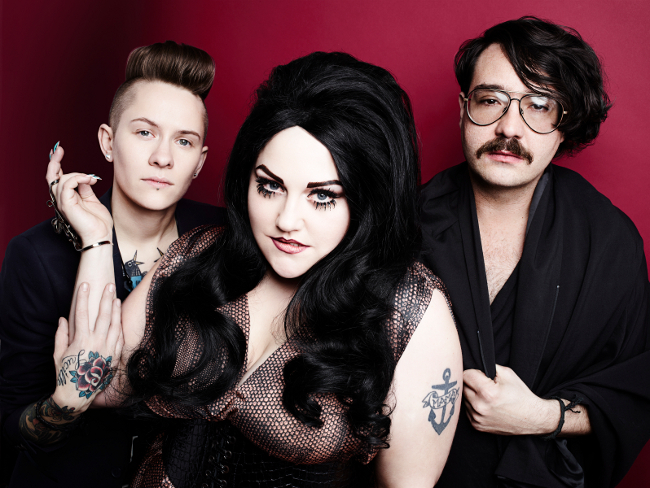 Overcoming serious illness, and all the difficulties that go hand-in-queer-hand with being a gay woman living in bible-belt America, her rise to stardom is even more inspiring. Beth shares it all, nothing is off-limits, and does so with serious panache and a big dollop of Southern charm. She recounts the chucklesome tale of how when NME put her on the front cover naked, but for a few well-placed stiletto-sharp red nails, the majority of the furore caused was not because she was naked, but because she hadn’t shaved her armpits! I remember this well, as I worked there at the time, and I also remember the interview she references with James McMahon as the first time she realised that she truly was a celebrity after he’d broached the topic with her. “Coal to Diamonds” is a riveting read, however my only complaint is the lack of images. 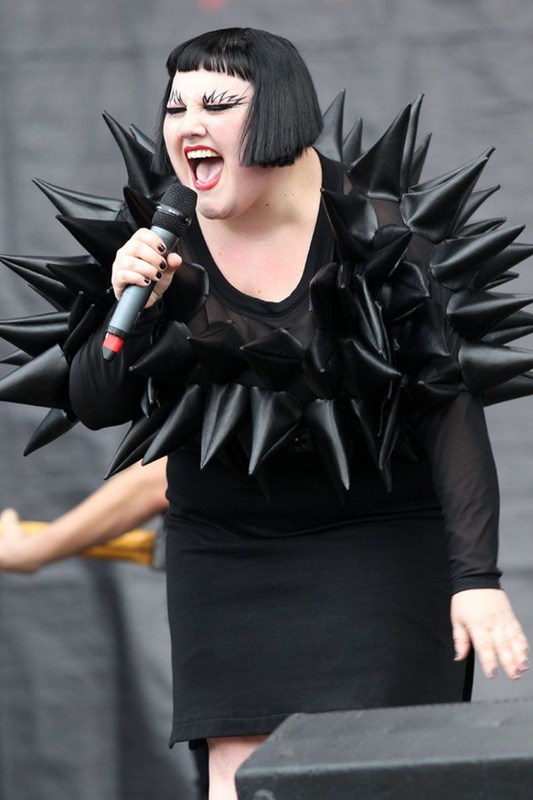 I would have loved to have seen some early pictures of Gossip, as well as a collection of all the fantastical stage costumes Beth Ditto has worn on, and off stage. To remedy that I’ve picked my favourites and included then all here. So. 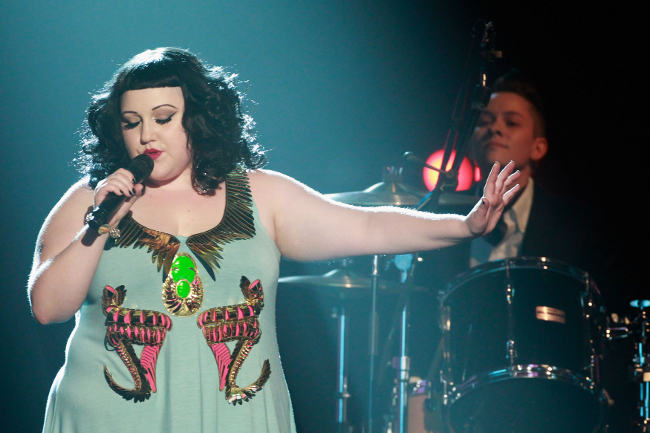 Beth Ditto ….. please will you be my friend?